The purpose of this workshop is to increase the professionalism and knowledge within the Therapeutic Riding Industry. 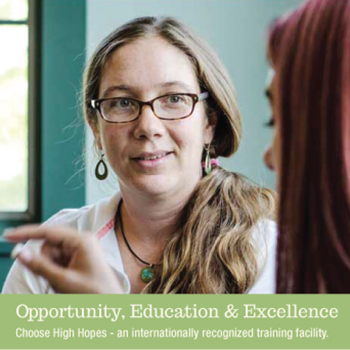 This interactive training provides PATH Intl. Certified Instructors with an overview of the role of a mentor within the EAAT industry and the necessary skills and tools to apply this knowledge to mentor other instructor candidates. This workshop includes 12 hours of classroom education and 8 hours of online education, which applies towards annual continuing education hours for compliance as a PATH Intl. Certified Instructor. The objectives of the workshop are to enhance and build observation, evaluation and feedback skills through group activities and to give the mentor tools that will help individual mentors and centers in setting up a mentoring program, including enhancing communication skills and to build a trusting and collegial relationship between the mentor and mentee. This workshop will also provide opportunities for candidate evaluation. Complete a review of the online CAT course and Self Study, unless you have completed it within the last 12 months. Workshop participants will be enrolled through their registration with the PATH Intl. Center holding the workshop.